Anna works at EA’s Melbourne studio, known as Firemonkeys. Follow her on Twitter and Instagram. 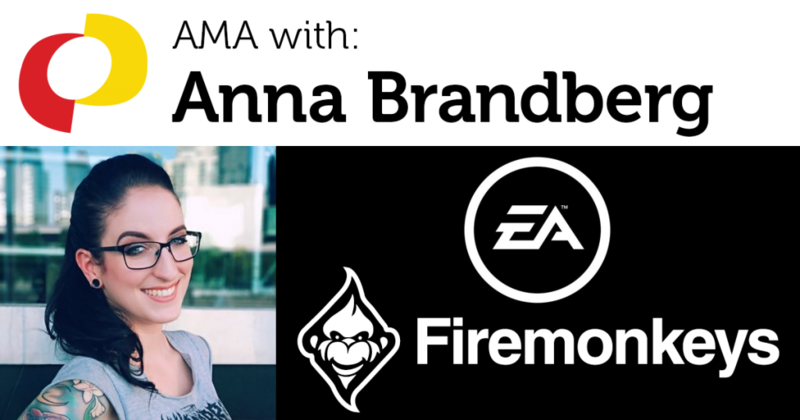 This is a recording of an “Ask Me Anything” (AMA) session with Anna Brandberg, hosted by the IGDA Student SIG. If you’re interested in doing an AMA with students, you can sign up here.